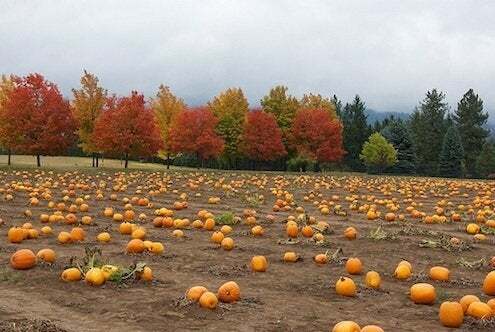 Celebrate fall’s arrival at one of these fun, family-friendly events. Van Cortland Manor is a historic 18th-century riverside estate in the bucolic Hudson River Valley. On select evenings through November 11, visitors are welcome for the Great Jack o’ Lantern Blaze, a breathtaking display of more than 5,000 hand-carved, illuminated jack o’ lanterns. 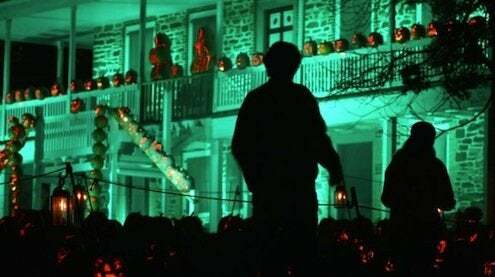 During the event, the Manor’s sloping brick paths and heritage gardens are transformed into a Halloween wonderland, complete with synchronized lighting and suitably creepy sound effects. There’s the Tunnel O’ Pumpkin Love, plus flying ghosts, slithering snakes, a giant spider web, and super-sized dinosaurs, all made of fiery carved gourds. Advance tickets required. For details, visit Historic Hudson Valley. Historic buildings eerily lit are highlights of The Great Jack 'o Lantern Blaze. 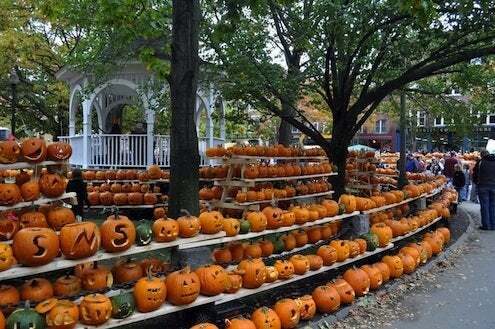 This year marks the 22nd annual Pumpkin Festival in Keene, NH. 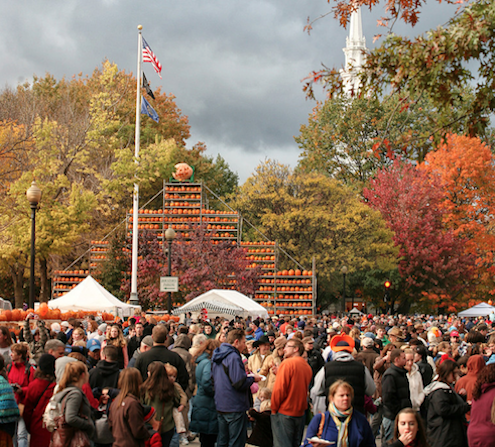 On Saturday, October 20th, make your way to downtown Keene, NH, for the city’s annual celebration of all things pumpkin. The festivities include the Great Pumpkin Mile road race, live music, a giant Ferris wheel on Main Street, a children’s costume parade and pumpkin bowling. The food court offers everything from pulled-pork sandwiches and fried pickles to pumpkin whoopie pies, cheesecake, donuts and even pumpkin ale made by regional breweries. Perhaps the main attraction, however, is the enormous pumpkin tower on the central square, made up of jack o’ lanterns artistically carved by residents and visitors to the festival. 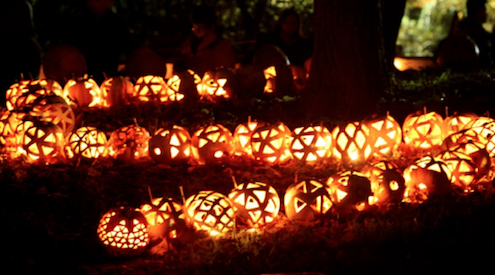 Last year, the festival broke its own world record by displaying a whopping 16,186 glowing jack o’ lanterns at the event! To learn more, visit Pumpkin Festival 2012. Every weekend through October 28, families from eastern Washington State and neighboring Idaho head to the annual Harvest Festival. Situated 15 miles north of Spokane, the event is put on by the Green Bluff Growers, an association of 30 or so small family farms and businesses in the area. 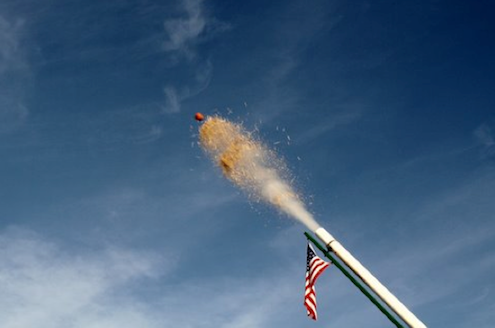 If you go, swing by Knapp’s Farm to play in the straw maze, wander the expansive pumpkin patch, and watch the Punkin’ Chunkin’—an amazing contraption that catapults pumpkins hundreds of feet into sky. Later pick pumpkins and apples at one of the many orchards, navigate the corn labyrinth at Siemers Farm, and sample the irresistible cinnamon-dusted pumpkin doughnuts at Harvest House. For more information, log onto Green Bluff Growers. 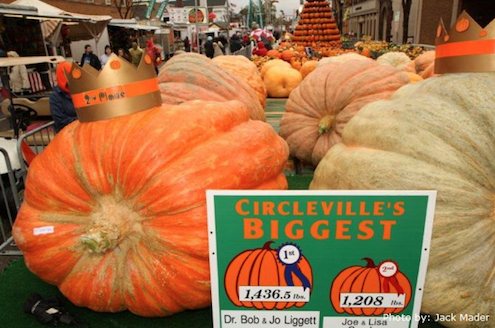 Nicknamed the “Greatest Free Show on Earth”, the Circleville Pumpkin Show has been going strong since 1903. A celebration of local agriculture, the four-day extravaganza gets underway on October 17 with the giant pumpkin weigh-in—last year’s champion tipped the scales at 1,436.5 pounds!—and the charming Little Miss Pumpkin parade. The jam-packed schedule also includes six more parades with floats and marching bands; bluegrass, gospel, country and classic-rock concerts; a pumpkin-pie eating contest; quilting and wood carving demos; a hog-calling competition; midway rides and games; and much, much more. Feelin’ hungry? Dig into pumpkin-inspired specialties like waffles, chili, pizza, cream puffs, brownies, taffy and elephant ears. And don’t miss the world’s largest pumpkin pie. 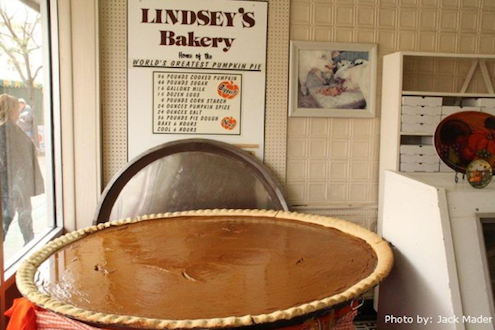 Six feet in diameter and weighing over 400 pounds, it’s made each year by Lindsey’s Bakery, a local landmark on Main Street. To find out more about the festivities, visit Circleville Pumpkin Show. 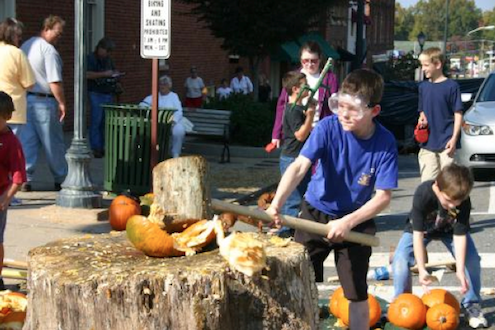 The first Saturday in November, head 40 miles north of Charlotte to historic downtown Statesville for the 10th annual Pumpkin Festival. The family-centric event features 60-plus vendors selling arts and crafts, a Classic Car Cruise-In (all vehicles predate 1972), 5K race/walk, skateboard competition, and everything from pumpkin bowling to pumpkin painting to pumpkin smashing, where contestants young and old use wooden mallets to pound the orange gourds to mush. For details, visit Statesville Pumpkin Fest. 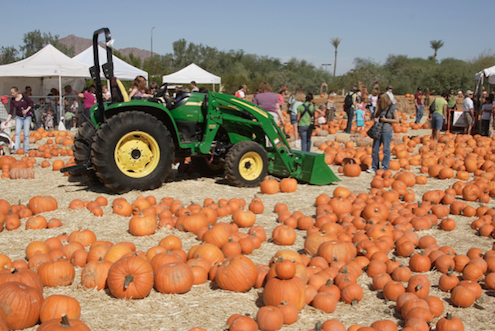 This kid-friendly event sponsored by the Desert Botanical Garden lets youngsters growing up in the desert experience an old-fashioned fall festival. Catch a ride on the hay wagon leading out to the pumpkin patch (kids 12 and under can pick a free pumpkin), then check out the farm animals at the petting zoo, wander the Amazing Hay Bale Maze, or enjoy live country-western music. Crafts and games are also scheduled. Entrance to the Great Pumpkin Festival is included with paid garden admission. To learn more, log onto The Great Pumpkin Festival.